ASIS International (Singapore Chapter) March 2019 Newsletter! The ASIS International (Singapore Chapter) March 2019 Newsletter is out now! You can download a copy of the newsletter here and read about the past few months' activities as well as upcoming ones. Enjoy reading! As part of ASIS International’s mission to pursue excellence in security management, the Singapore Chapter regularly organises field visits to places of interest and organisations to enable our members learn security industry’s best practices. Courtesy of Changi Airport Group (CAG), we are privileged to be able to visit our world-renowned airport’s Aviation Security and Airport Emergency Services on Thursday 18 April 2019, 1400 hr to 1730 hr. Other than the rare opportunity to access protected areas, it will be another educational session to learn how Changi Airport manages security and remains operational 24/7 with its world-class aviation rescue and fire-fighting unit. NB: Priority will be given to paid-up Singapore Chapter members. The registration closing date is Sunday 24 March 2019, 1200 hr. Note: Registration has closed due to limited spaces imposed by host and overwhelming responses from members. The host reserves the right to prevent or restrict any members from attending the field visit subject to their internal screening process and company policy. The decision is final and no appeal will be allowed. The host and the organiser reserve the right to cancel or postpone the field visit due to unforeseen circumstances and participants will be notified as soon as possible. Invoice with instructions to pay online will be issued only after the online registration and after security clearance by host organisation. Please note that refunds will not be issued for cancellation or no-show. ASIS International and local chapter members will need to make payment online by Friday 12 April 2019, 1200 hr to confirm your attendance. If no payment has been made by deadline, your registration will be void and your slot will be allotted to members on the waiting list. No appeal will be allowed. Photos and videos of you may be taken during the event for marketing and publicity purposes. By registering for this event, you consent to allow ASIS International (Singapore Chapter) to collect, use and disclose your personal data for the purpose of event planning and registration. 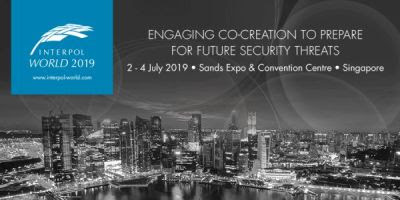 ASIS International (Singapore Chapter) is proud to be a supporting partner of World Continuity Congress 2019. Did You Missed Out Our Invite? You must have been too busy to notice but BCM Institute’s annual World Continuity Congress is around the corner. As a member of our Supporting Association, you are entitled to special member rate to this 1-day conference. To be held on 24th April 2019, Wednesday at Sheraton Towers Hotel Singapore between 9 am to 5 pm, we are going to discuss topics on Building Organisational Resilience Against Multiple Disasters and Crises. We have speakers from Infineon and Marriott who would be sharing their experience and anecdotes in running a smooth supply chain for customers like Airbus while Marriott will be sharing on their experience on managing the Trump-Kim summit in Singapore and World Bank Summit in Bali. Join your peers, partners, developers, executives and thought leaders for a full day of breakthrough sessions, networking, and lively discussions. We welcome you to yet another exciting BC/DR/CM conference.